Written by Haoyang Chen, Zhuo Chen, Yankui Sung. Produced by Zhuo Chen, Gianluigi Perrone, Chong Wang. Starring: Bingbin Wu, Qiang Li, Yaning Ying. “A quietly moving if not cutting-edge family drama, a welcome narrative change from China…Chen Zhuo’s Song of Silence is a welcome breath of fresh air”. Cinemania London, a specially selected season of film screenings for young audiences (12-24), presented by Picturehouse Group and Film Hub London, has teamed with Deptford Cinema to bring you 'New Worlds-Films about global youth experiences'. Award winning Chinese Drama Song of Silence is presented in the UK for the very first time on Thursday 23 April 2015 as part of the season. “First-time helmer Chen Zhuo demonstrates tact and perceptiveness when exploring his protagonist’s fragile inner world”. 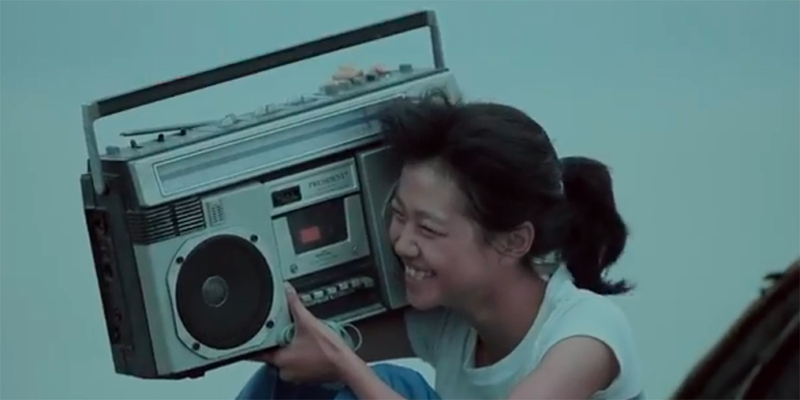 Teenager Xiao Jing lives in a fishing village in Hunan Province, isolated by both geography and her hearing impairment. Her only real emotional connection is with her uncle, an artist that she occasionally poses for. That slightly awkward hobby gives rise to a minor scandal involving the uncle, which results in Jing being sent off to the city to live with her resentful father, police officer Haoyang. Rounding out the makeshift family is Haoyang’s pregnant girlfriend Xiao Mei, an aspiring rock star. The two girls will have to accept each other and learn how to communicate in order to rediscover themselves.